Season it all! Meat plus poultry plus fish plus vegetables plus anything else you can think of! 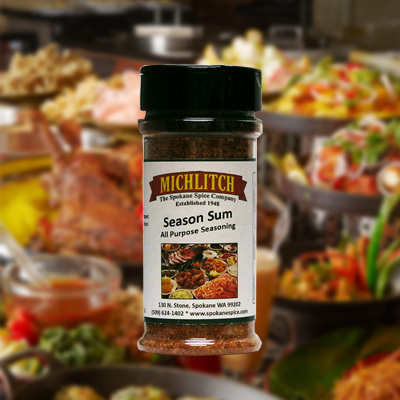 Season Sum is a blend of sugar, salt, chili pepper, paprika, onion, garlic and other spices. Use it to add a savory flavor to fish, meats, chicken, and vegetables. Its also a popular sprinkle-on seasoning for salads.